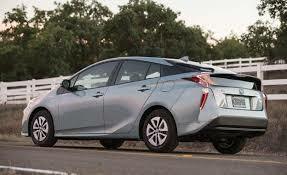 Toyota Motor Engineering & Manufacturing (Toyota) is recalling certain 2016 Prius vehicles. A capacitor within the hybrid system may not have been properly bolted to the inverter housing. Toyota will notify owners, and dealers will replace the inverter, free of charge. The recall is expected to begin by early December 2017. Owners may contact Toyota customer service at 1-800-331-4331. Toyota's number for this recall is H0U.